Did you know I founded a national holiday?! Back at the end of 2017, I proposed my idea, made its case, paid the processing fee, and waited. By the beginning of 2018, I had received my proclamation in the mail! 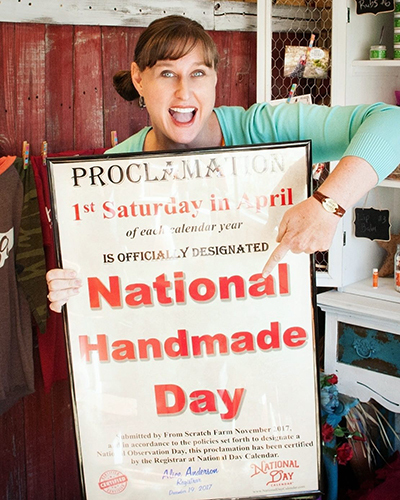 From now on, the first Saturday in April will always be National Handmade Day!!!!!!!!!!!!!!!!!!!!!! Because our time, sewing, pouring, sanding, making, our love, our talent, mixing, formulating, quilting, soldering, dreaming, our dedication, and our blood, sweat, and tears all needs to be recognized and honored! Once proclaimed, National Day Calendar did a write-up. The page is HERE! Jo-Ann Fabric was celebrating last year too. Check that out HERE! 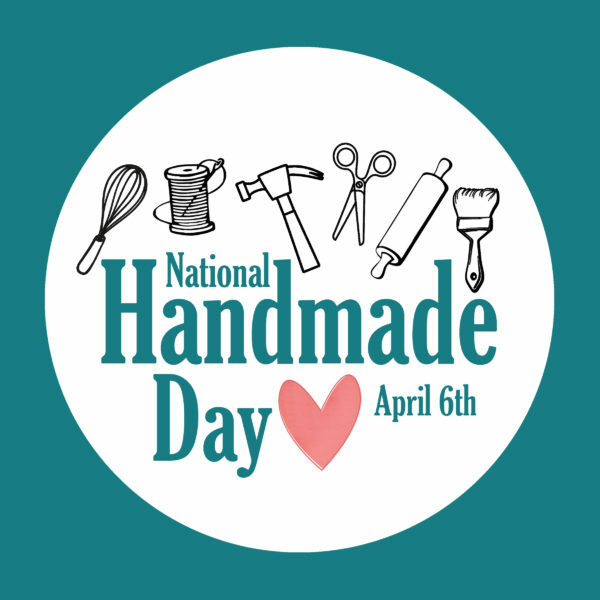 “Today is April 7th, and it’s also National Handmade Day. I know many of the “national holidays” made up by social media are are just for laughs and entertainment, but this one is more important. Of course it holds value to me, because I am a small business owner who predominantly sells handmade goods. But I’m going to explain in this post why handmade should be important to each of us! Buying handmade puts money back in the pockets of the people who live and work in your local area…who in turn, often spend and invest that money back into the community. Anytime you support a local business or maker instead of a large corporation, more of the profit stays in the local community. In addition, supporting local, handmade businesses also creates more jobs within the community! Even in the years that I worked in the jewelry industry in NYC, I saw human jobs get replaced with machines and technology. Laser cutting has replaced labor-intensive hand cutting. 3D printing has replaced tedious hand-carving. Online modeling software has replaced technical drawing. The advances in manufacturing are both a blessing and a curse. I’ll admit that I love using 3D technology when making the wax models for my jewelry! But as more and more improvements are made to manufacturing equipment and technology, less people will be trained to manufacture products by hand. In art school and at most jewelry classes that I’ve attended, I’ve learned the traditional technique prior to being able to take the shortcuts and conveniences that our modern world allows. By supporting handmade businesses, those traditional craft skills are able to stay alive and hopefully get passed on to future generations. Customization is not something that large corporations, big box retailers, or mass-manufacturers are often able to offer. When you buy handmade, often the maker is able to take requests for modifications, alterations, personalization, and customization. Having a good or product that is tailor-made to your exact liking is so special! We tend to value and care for custom or one-of-a-kind items more because we understand the thought and care that went into making them to our preferences. Buying handmade also presents a great gift giving opportunity, because you can have a gift made with that exact person in mind- which shows extra effort and love. Mass produced items are often made as cheaply as possible to maximize profit and reach. Your satisfaction in that manufactured product has no profound or immediate effect on the person who created it. When I worked as a designer for large brands with internationally sold merchandise, I got paid each week and never was aware of or concerned with our customer’s individual experiences with the products that I helped to create. But that’s because I was always working over a calendar year ahead to keep up with the pace of the fashion industry. By the time the products that I had designed came out, those items were literally archived years earlier in my memory and replaced with more pressing matters. If they didn’t sell well or were returned to stores, it wasn’t even a blip on my radar. Or if it was a big enough problem, I shared the responsibility not only with fellow designers, but also with the product merchandising team, the product development team, the factory workers, their suppliers, etc. The problem was so diluted. 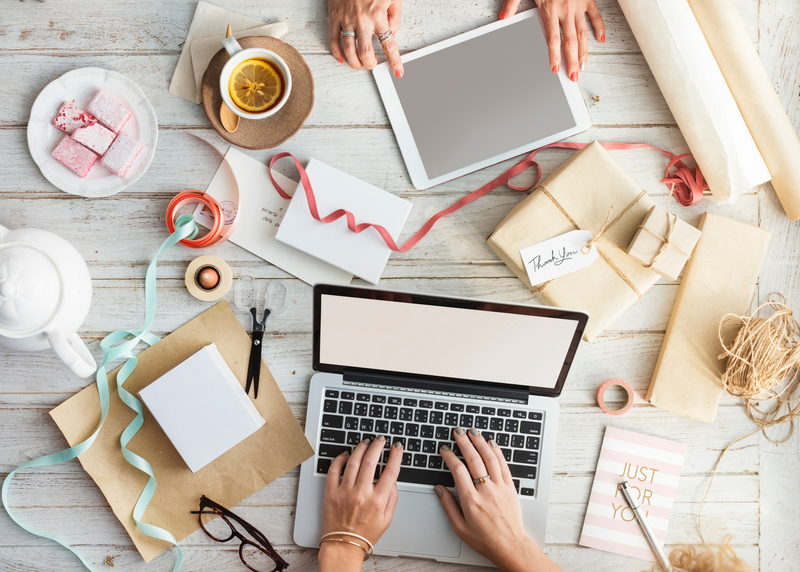 With handmade products, the person who conceives the product is often the same person who crafts it, packages it, markets it, sells it, and serves as the customer service touchpoint. 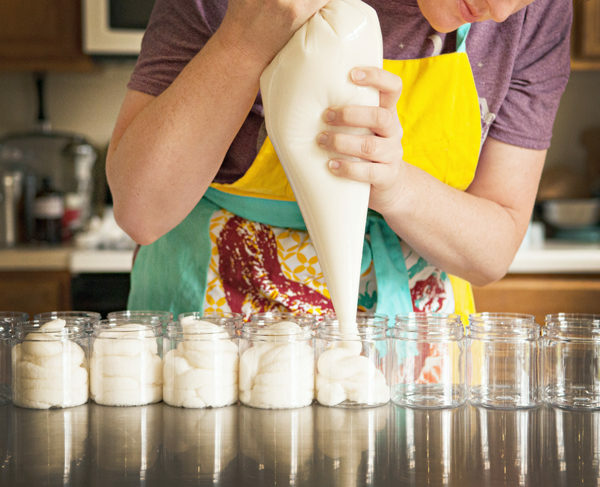 The makers of handmade products have a LOT more invested in their customer’s satisfaction. The profit from that one product is how that craftsperson makes their livelihood and how they support their families & employees. It is a big deal to them if you have to return your product. Because of that, handmade products are typically made with exceptional care and craftsmanship… and typically with high quality and even locally sourced materials (or ingredients). Buy handmade products instead of mass produced products. Simple word-of-mouth. Tell others about the makers & products that you like! Review the handmade products that you purchase and use so that other people can discover and support that maker. Look for ways that you can collaborate with small businesses, makers, and artists in your profession or business. Engage & Interact with handmade businesses online and via social media. Every like, comment, share, or post helps that maker gain visibility online. Explore your community. There’s no telling how many unique makers, businesses, and restaurants you’ll uncover just by acting like a tourist in your own hometown! So, what do I have in store for you this year, our second year celebrating National Handmade Day??? Join me for my NATIONAL HANDMADE DAY POP-UPS EVENT!!!!!! My shop will be open from 1:00 to 8:00. I’ll be there, with all my handmade goodness. A special sale is in the works. And a never-before-done-in-my-shop, hands-on activity is being planned too. A Thriving Hope is joining me. She’s bringing her beautiful handmade goodness. And she’s offering a great discount on purchases. Shelly Creates It will be there too. She’s not only bringing her awesome handmade goods, and not only offering a discount that day. But she’ll also be creating National Handmade Day tees as you order them. La Dee Da is also joining us, with their incredible wood creations. Man Beard Co. will be set up too, with their unique handmade products. And, want to see the coolest, instagrammable balloon installation ever to appear on Main Street? Not only is Lua Bash our official event sponsor. But you won’t want to miss her colorful creation, just for this event! Share the invite, share this blog post, share the instagram post! Help us get the word out, any way you can!